All video / photos are saved onto a beautiful wooden USB stick. Video can be played directly from usb on most led TV’s. Please contact us for pricing or custom packages. 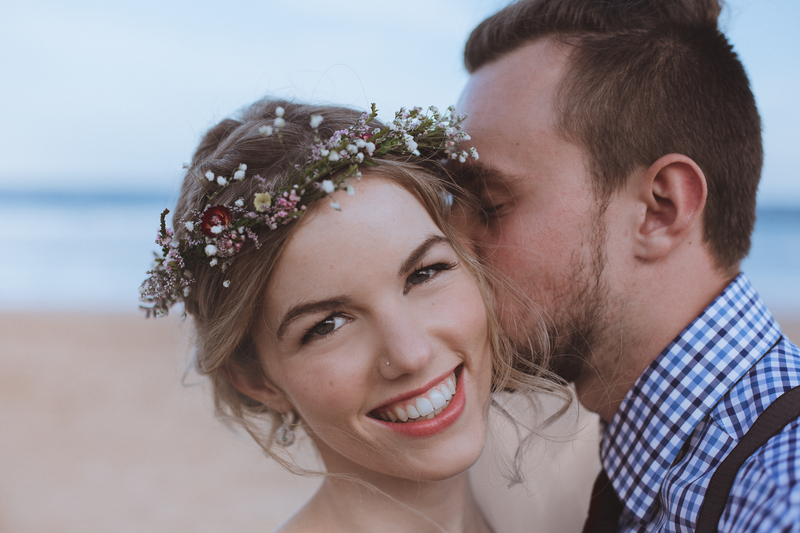 The doco styled short film is an engaging 5-7 minute film video of your wedding day story, captured with thoughtful cinematography featuring all the key moments from the wedding day and recorded audio of key moments, backed with a great music soundtrack. The highlights video is delivered via web and a separate video of just the vows from ceremony and separate video if requested of the speeches from the reception delivered via gift box with USB that is playable on TV / set top box. – What is the date of the wedding? – Where is the ceremony taking place? Which city / suburb? – Where is the reception to be held? A. Grooms preparation / bride preparations. We film the bride until she departs for the church but need enough time to allow for setup at church before bride arrives. At times we will quickly interview the bride and groom about each other. B. Church/ceremony introduction. Venue. Brides arrival into the ceremony. Entire ceremony event as it unfolded. C. Location portrait shots. At times we’ll direct if needed to enhance the footage and so creativity can be unleashed. Introduction into the reception, showcasing the venue and the decor. Bridal entry into the reception. Guests, food being served, whatever else is happening. Highlights of formalities. speeches, cutting of the cake, bridal waltz / dancing. Bouquet throw. It all depends on the wedding, culture and the mood of the guests. Sometimes we feature a farewell scene if the wedding ends in the agreed timeframe. Couple are escorted by guests outside, into the getaway car…. Note: 10 hours is the perfect amount of time to cover a wedding day beautifully, from the bride and groom getting ready, all the way through to reception. However, if you are looking for more time, let us know and we’ll price specifically to your needs. (bridal entrance, processional, vows and sermon, recessional, location photoshoot, reception. *The highlights video is a 4-8 minutes short film showing the best snippets of your wedding ceremony captured with thoughtful cinematography and recorded audio of key moments edited to a lovely music soundtrack. *** Multi camera ceremony edit of the vows also including reception speeches / dance. Candid images taken as moments happen. Photos that are timeless, beautiful, natural and personal. 150 edited selects and 800-1000 photos from the whole wedding day colour adjusted as well. All photos are provided on cute wooden USB. Complimentary engagement photoshoot included*. Full coverage of the ceremony including photoshoot before or after the ceremony. 100 edited selects and 500-800 photos from the ceremony and location photoshoot colour adjusted as well. Bespoke styling and invitation design. 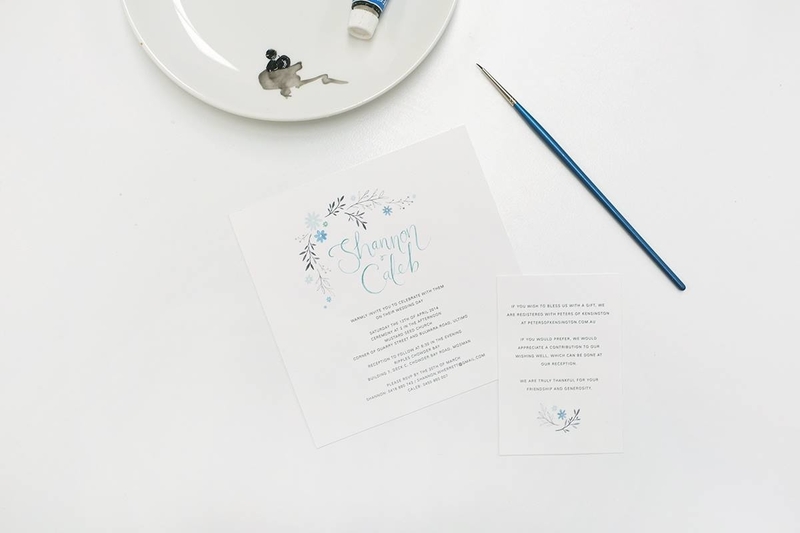 Custom stationery specialising in watercolour painting, modern calligraphy and hand drawn illustration.